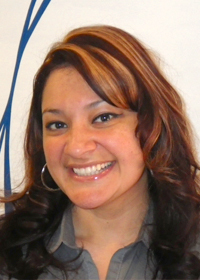 Diana has been with Iverson Orthodontics since 2009 and in the oral health field since 2001. Her duties at the office include handling all new patient appointments by taking photos, X-rays, and notes during clinical exams. Diana also aims to make the start process smooth and easy for all our patients by taking time to explain the treatment plan and fees. She will also review your insurance benefits, explain our flexible payment plans, and schedule an appointment to begin treatment. Her favorite part about working at Iverson Orthodontics is having the pleasure to meet and build new relationships with our patients. Outside of the office, Diana has two children and a wonderful husband that she has known for half of her life. She enjoys spending time with her family and friends as much as possible. Her hobbies include swimming, going to the beach, bike riding, and going out to the movies. While Evelyn only recently joined our team, we can’t imagine life without her smiling face. She enjoys working with patients and seeing the impact a new smile can have on a person’s life! Evelyn loves working alongside Dr. Iverson, not only because he makes the office fun and enjoyable for every patient who comes in, but also because he makes it feel less like an office and more like a family. Fereshta joined our team in 2016, and brings with her eight years of experience in the dental field. She ensures our patients receive excellent customer service when calling or coming into our office. She also assists with scheduling appointments and other front office duties. Fereshta loves meeting new people and following their orthodontic journey. When not in the office, Fereshta enjoys spending time with her husband of 12 years and their two beautiful boys. She is also working on her Master's in English Literature at George Mason University. 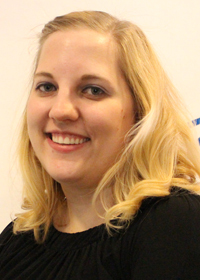 Rebekah joined our team in 2014, and has been in the dental field since 2012. She handles patient accounts and insurance for our office. She enjoys working with Dr. Iverson and the whole team to create an enjoyable experience, from start to finish, for everyone who visits our office. She enjoys getting to know our patients and loves seeing the beautiful smiles created at the end of treatment. Rebekah has been in Northern VA since 2001. In her spare time, she enjoys baking and spending time with her friends and family. Dallas has been in the oral healthcare field since 2004 and with our team since 2013. Dallas’ duties at Iverson Orthodontics include assisting Dr. Iverson during clinical procedures, impressions, radiographs, sterilization and marketing! She always makes sure each patient leaves with a smile. Originally from Chicago, Dallas loves being a city girl. She relocated in order to continue her dental studies at University of Maryland. Dallas’ favorite part of her job is seeing the transformation of each patient and how happy they are with their treatment. Outside of the office, Dallas loves running and playing volleyball and softball. She owns two dogs: an American Eskimo named Moe and a Yorkie named Princess. Sarah is one of our wonderful orthodontic assistants. She has over 16 years of experience in the dental field. She assists Dr. Iverson in the clinic area with patient x-rays, impressions and sterlization as well as in our lab; she makes all of our Essix® retainers and submits Invisalign® cases. Getting to work with the patients and see the difference orthodontics can make in a patient's confidence and appearance is her greatest reward. Sarah grew up in northern VA. She and her husband have one daughter, that keeps them busy going to field hockey, soccer games and planning for college. She enjoys reading, movies and taking her dogs out to walk on the weekends. As an orthodontist assistant, Eden’s duties consist of taking impressions, changing wires, cementing bands and orthodontic appliances, and helping Dr. Iverson with anything needing to be done. She enjoys seeing how happy our patients are after treatment, and is grateful to be a part of it with them. When she’s not in the office, Eden spends time with her son, Isaiah. She also loves to read and watch movies in her free time. 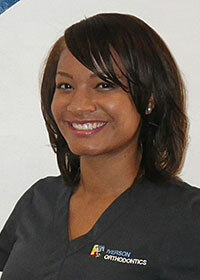 Tina is our newest orthodontic assistant, she brings with her three years of experience in the dental field. She assists with all clinical procedures including taking impressions and radiographs, changing wires, and sterilization. Tina loves interacting with patients and seeing their transformation through treatment. Tina recently moved to Northern VA from Ephrata, PA with her husband. In her free time she loves to explore the area, play volleyball, cook and spend time with her family and two dogs; Buddy and Bella. 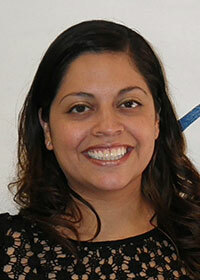 Iris is one of our exceptional orthodontic assistants. She has worked in orthodontics for over 16 years. Iris assists Dr. Iverson & Dr. Wahab with all clinical procedures including taking impressions and radiographs, changing wires, and sterilization. She enjoys building relationships with patients and parents. Outside of the office, Iris enjoys spending time with her three children and husband. She also loves to listen to music, go to concerts and the beach, and being outdoors.